Official MetOnTour video recap of METALLICA's August 11 appearance at the Summer Sonic festival in Osaka, Japan can be seen below. 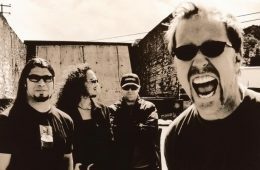 The 12-minute clip includes drummer Lars Ulrich in the meet-and-greet, "Cyanide" in the tuning room, and "Ride The Lightning" from the show. The band's setlist was as follows: 01. Hit The Lights 02. Master Of Puppets 03. Ride The Lightning 04. Harvester Of Sorrow 05. Fade To Black 06. The Memory Remains 07. Cyanide 08. Welcome Home (Sanitarium) 09. Sad But True 10. ...And Justice For All 11. One 12. For Whom The Bell Tolls 13. Blackened 14. Nothing Else Matters 15. Enter Sandman Encore: 16. Creeping Death 17. Battery 18. Seek & Destroy METALLICA has revealed the details of "Metallica Through The Never (Music From The Motion Picture)", the soundtrack companion to the forthcoming groundbreaking 3D feature film "Metallica Through The Never". The two-disc CD set will be released on the band's own record label Blackened Recordings on September 24 and highlights last year's career spanning sets at Rexall Place in Edmonton and Rogers Arena in Vancouver, where the band filmed all performance footage featured in the film. The soundtrack is available for digital pre-order tonight at midnight EST and both the CD and digital album will be available at all retailers. There will also be a vinyl edition of the soundtrack album available in both 33 1/3RPM and special limited numbered 45RPM versions later in the fall. Former EMPEROR frontman Ihsahn's April 21 performance at this year's edition of the Roadburn festival at the 013 venue in Tilburg, Holland was professionally recorded and can now be streamed using the audio player below. Ihsahn's debut solo album, "The Adversary", was re-released as a limited two-LP edition, including layout by Trine + Kim Design Studio, last November via Blood Music. 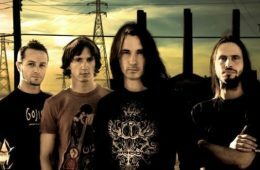 "The Adversary" was originally released in April 2006 viaMnemosyne/Candlelight Records. 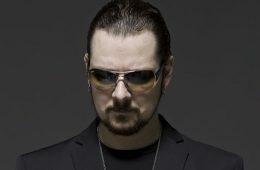 All music and lyrics for "The Adversary" were written and performed byIhsahn with exception of drums, which were played by Asgeir Mickelson(BORKNAGAR, SPIRAL ARCHITECT). Due to recent flooding and water damage at the Scotiabank Saddledome, the RUSH concert originally scheduled for Wednesday, July 24 had to be canceled. 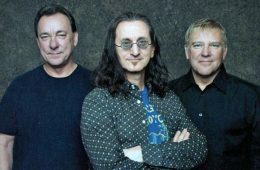 RUSH has been moved by the situation in Alberta, Canada and has decided to perform its "Clockwork Angels" show at the closest location possible on the same date — Wednesday, July 24 in Red Deer, Alberta at the Enmax Centrium — and has all proceeds to go to Alberta Flood Relief. RUSH will donate its fee and pay for all its expenses. Their promoter partner, Live Nation, will also donate its time and fees towards this cause. The venue, Enmax Centrium, will donate goods and services to the event as well. It's an all-hands-on-deck situation to donate time in order to raise as much money possible for our Alberta friends and fellow Canadians in need. AVENGED SEVENFOLD has canceled its previously announced July 16 concert in La Crosse, Wisconsin. All tickets are refundable at point of purchase. Says AVENGED SEVENFOLD in a statement: "We regret to inform our fans in La Crosse that we have only now learned that the production requirements for our current tour unfortunately are not possible in the La Crosse Center. 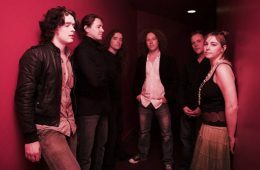 We will be back to the area soon to bring our fans the kind of show they have come to expect from us." AVENGED SEVENFOLD will release the title track of its new album, "Hail To The King", as the first official single from the record on Monday (July 15), according to HardDrive Radio. 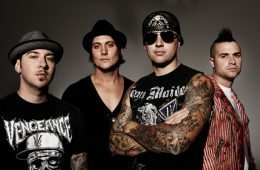 The album, AVENGED SEVENFOLD's sixth studio effort, will arrive in stores on August 27. 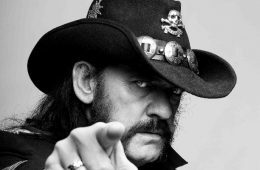 According to Soundsblog.it, MOTÖRHEAD canceled this past Saturday's (June 22) appearance in Austria at the See-Rock festival and the June 25 show in Milan, Italy, due to an unspecified "haematoma" suffered by the band's frontman, Lemmy Kilmister. 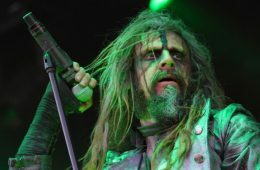 The news was first broken by the See-Rock festival web site, and then the promoters of the Milan show confirmed the health issue. A haematoma is a localized collection of blood outside the blood vessels usually in liquid form within the tissue. It can happen on any part of the body, with different degrees of heath consequences. It was revealed in the latest issue of U.K.'s Classic Rock magazine that \Kilmister recently had a defibrillator fitted — an operation to put a device in his chest to help his heart beat normally — after experiencing "heart problems."